if you want to learn, learn from the best. Upgrade yourself with Teachers’ Training Courses. Learn here, so that in time others may learn from you. Jal Yoga is accredited by Yoga Alliance International® so you can rest assured that the training you receive adheres to standards and is globally recognised. With Jal Academy, you will take the first steps into a much bigger world. Gain deeper insights and help others live a better, fuller, richer, and more meaningful life. Exciting new paths await you, and the journey begins here. Deepen the understanding of your body, unleash new strength, deepen your practice and unlock more teaching opportunities for yourself with Jal’s Wheel Yoga Teachers’ Training. You will learn from Lorena Godoy, a Venezuelan Orthopedic and Traumatology Professional, specializes in different types of Yoga such as Bikram, Yin, Kids and also Wheel Yoga. What makes her so special is that she incorporates her knowledge in the medical fields into her teaching. With the use of Yoga Wheel, one can fully experience the benefits of lengthening, sculpting, meditating and relaxing in any poses. Furthermore, with our carefully crafted lesson outline, Jal’s Wheel Yoga will challenge your core stability and at the same time strengthening and sculpting your body. Not only for Yoga practice, you will learn how to incorporate the Wheel into your daily life, for you as well as for your loved ones. What is Jal Kids Yoga Teacher Training all about? Kids Yoga is a nice and easy way to learn and to introduce Yoga to the kids. Yoga presented in a child’s language help counter the stress experienced by the little ones living in this fast-paced world. There are plenty of Yoga styles and practices available for adults in the market, but doing Yoga at early age can significantly aid in the holistic development of a child. Hence, Jal Academy is introducing Jal Kids Yoga to help both aspiring Kids Yoga teachers-to-be, parents, school teachers, early childhood educators or even medical professionals to gain better understanding and alternative ways to engage the children meaningfully. This Kids Yoga Teacher-Training program is unlike any Kids Yoga Teacher Training program that has been presented in the market. The teaching outline focuses on learning and growing through games and fun. Unlike other Kids Yoga Teacher Training, you will be train to play around with a variety of games and toys, and be flexible with the materials on hand to deliver the class. By subtly incorporating Yoga breathing techniques and various Yoga asanas, kids will be doing Yoga under a fun and stress-free environment. Your experience with Jal will go far beyond “teacher training”. This is a training course that will add on to your existing skill set, upgrade your teaching repertoire, allow you to reach out to more people and potentially make a positive difference in the growth journey of the children. What is the duration of Jal Kids Yoga Teacher Training? Why take up Jal Kids Yoga Teacher Training? The new generations of kids live in a fast-paced world of busy parents, academic stress, tuition classes, mobile games, internet and competitive CCAs. Often, we cannot imagine the impact this busy schedule has on the stress level of the children. The bustling pace of our kids’ lives can have a profound effect on their overall development and childhood memories. Yoga, on one hand is more than just practice, the kids can reap enormous benefits from doing Yoga. Physically, it enhances their flexibility, strength, coordination and body awareness. More importantly, they will learn techniques for self-health, relaxation, nurture self-love and self-acceptance, which enable them to navigate through life’s challenges with a little more ease. From small kids to teenagers, inactive kids to aspiring athletes, Yoga can help in many ways and in many special conditions. Hence, as they grow older, the incredible valuable lessons and techniques they learnt in Yoga can help them cope better with the challenges ahead and value add their lives. Yoga for kids helps to provide and instill some balance to their perspectives. We want a better world and the only way to get it is educating the new generations. Jal Kids Yoga Teacher Training offers creative curriculum that focuses on incorporating every aspects on Yoga into interactive games and engaging exercises. It is designed to develop both physical and mental awareness of the kids. Never will there be any rigid Yoga sequence or specific Yoga asanas to be used in the class. Through games and exercises the kids play in the class, you will learn various techniques to engage the kids creatively and immerse in their world. Furthermore, with our carefully crafted lesson outline, Jal’s Kids Yoga allows you to understand your (or others’) kids better and at the same time equip you with the knowledge and skills that can enhance your relationship and encounter with kids. We want a better world and the only way to get it is through educating the new generations. This training program incorporates creative sequences into its curriculum. The lesson outline includes class management, lesson planning, pre- & post-training evaluation and monitoring. Every student will receive personalised and individualised attention throughout the program. The most special thing about this training program is the incorporation of Children Behvaiour and Psychology study into its syllabus. You will learn under the professional medical expert, Lorena, to explore deeper into kid’s psychological and physical behaviour. Kids experience the world as a one big sense organ as their body is like a sponge that is receptive to every input from the world around. Therefore, the use of fingers, toes, and skins with Yoga helps to foster a mind-body connection. Kids are pure, honest and have an intuition about the world that we adults have largely forgotten. As adults, we often forget to live in the present moment. Teaching Yoga to kids is a truly humble experience as it allows you to grow with them. You will learn to be daring, be receptive to your imperfections, be adventurous and just enjoy the fun and the present moment. This is the moment where you gain more insights into the kid’s world and learn to interact and develop better communication with the kids. Kids Yoga offers the opportunities to learn something that is non-competitive. Yoga teaches kids that their bodies are unique and different, and there is no one better or worse at Yoga than anyone else. Kids will be exploring their bodies and learn from them in their own ways. With the society sending numerous messages of inadequacy, kids will learn to accept, cherish and love themselves as they are. Starting from young age, the valuable lessons they have learnt from Yoga will equip the kids with powerful tools in times of self-doubt during the teen years and beyond. Yoga can increase the kids’ focus time and help with concentration. According to research, 20 minutes of Yoga could help the kid’s brain function better, and results in better academic results compared with aerobic exercise. Kids are better able to focus their mental resources, process information quickly, more accurately and also learn, hold and update pieces of information more effectively. Apart from that, through deep breathing and movement, Yoga creates awareness in the kids’ bodies. It provides them a way to express themselves, builds strong connection between their mind and action. With healthy body awareness, kids will have more confidence and physical strength, and will eventually acquire a sense of quiet strength that allows them to weather through difficult times and stay focus on their goals. There will be a lot of role plays and games that allow the kids to be whatever they want to be. By using pose names like “Cat, bridge, table, tree, dog, volcano” etc, this helps to keep the focus on the physical benefits of Yoga for children. It enables them to have fun while imagining and game-playing. By combining physical activity and imaginative play, kids are able to benefit from the benefits of Kids Yoga and it is a win-win for you and the kids. Through the games play in the class, Yoga lengthens and strengthens kids’ bodies. Every kids have to be strong because a body is unable to yield under pressure if it is solemnly based on strength. Furthermore, with lack of flexibility, strong muscles alone could not move quickly and it will pull on bones and joints. Yoga poses stretch muscles and through integrating breathing and movement, muscles become warm and more flexible. They can yield when they need to, and support tender joints in a more functional way. Is Jal Kids Yoga Teacher Training Yoga Alliance accredited? You will learn under a medically trained Yoga instructor who has taught internationally. Lorena Godoy, a Venezuelan Orthopedic and Traumatology Professional, specialises in different types of Yoga such as Bikram, Yin, Wheel, e84 and also Kids Yoga. She comes from a family of professional soccer players and is now a mother of 2 girls. Lorena has enormous experience of interacting with kids of all ages. Not only is she a mother now, Lorena’s mother was the owner of a famous school in Venezuela, hence she had the opportunity to interact with kids at early age and had numerous encounters with kids of various special conditions. Therefore, by incorporating her knowledge in the medical fields and her rich experiences with the kids into her teaching, Lorena has developed her unique teaching style and is a highly sought after Kids Yoga instructor internationally. Yoga Teachers – who have the passion to teach and reach out to more people. Not only that, it is the program for the Yoga teachers who want to upgrade themselves, explore more variety of Yoga and deepen their Yoga learning, skills, and teaching ability. We are looking for great teachers that can represent our Academy as ambassador, with impeccable standards of professionalism, integrity and a huge heart to share what they are coming to learn with us. 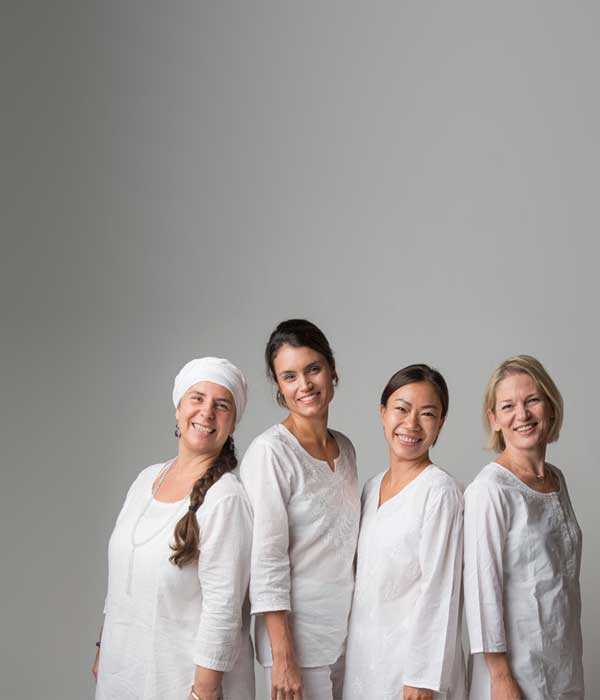 Yoga Practitioners – who may or may not plan to teach, but are keen to explore more variety of Yoga practice and wish to deepen their knowledge with advance training. Yoga Teacher Training does not offer just a single route. By taking Yoga Teacher Training, it doesn’t mean you HAVE to teach. Having the ability to teach is great, but for individuals who want to go deep into the practice and knowledge they are interested in, teacher training program is definitely the great way to learn more. Early Childhood Educators – who wish to gain better understanding of kids, and expand their knowledge in leading and nurturing the little ones. Other than sharpening their hard skills, it is important to develop their soft skills as well as nourishing their compassion and love for others as well as for themselves. By having them in a Kids Yoga class, you will help the kids to learn and grow in a non-competitive group, and you will also be able to understand and clique well with the kids. Parents - who want the best for their kids. Apart from supplying them with all the tuition classes, there are valuable times and lessons that cannot be bought with dollars and cents. For parents with large age gap, you will be able to peek into what the little minds are thinking, learn a different way to play and grow with them. For parents who want some twists in their time spend with their kids, Kids Yoga is highly versatile that can be performed anywhere, anytime and in any forms. Your company and times spent with them will expand their world and enhance their imagination. Children's Healthcare Providers - who want to help with the patients in daily activities. Put aside the rigid recovering routine, kid patients can restore strength and flexibility through Kids Yoga. It will lengthen and strengthen their bodies and help with their physical well-being. Other than that, by doing Kids Yoga, you help them to nurture a positive outlook of life. In times of difficulties and pains, the self-love and self-acceptance they have acquired through Kids Yoga can instill a quiet strength that can help them weather through the storms and darkness ahead. When is the Jal Kids Yoga Teacher Training intake? How much does Jal Kids Yoga Teacher Training cost? $899 (early bird) $1299 Jal will be offering a complimentary Jal Kids Kit (worth $200) to our first batch of Students! What is Jal Wheel Yoga Teacher Training all about? 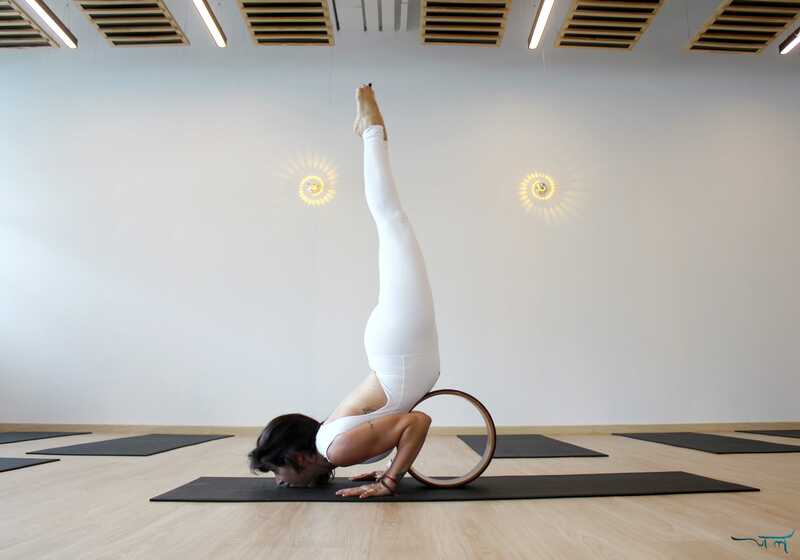 There are many props that can incorporate in a Yoga practice, but Yoga Wheel is definitely the best tool in the market by far. The Jal Yoga wheel is a hollow, circular shaped prop designed for aiding stretching, releasing tension and improving flexibility. It is set to be the new foam roller, which can provide deep massage into the muscle tissues and to the spine. Additionally, it can help to open up your chest, shoulder, back and let you go deeper into an asana safely. As Wheel Yoga is a unique practice, Jal Academy is bringing Jal Wheel Yoga into the mainstream by conducting teacher’s training and preparing more future teachers. This Wheel Yoga Teacher-Training program is unlike any Wheel Yoga Teacher Training Program that has presented in the market. The teaching outline is strategically crafted in a systematic way that targets different body parts separately. This enables you to gain full understanding of the human body system, in which you can help to explore and expand the potentials of your future students. Your experience with Jal will go far beyond “teacher training”. This is a training course that will add on to your existing skill set, upgrade your teaching repertoire and allow you to reach out to more people and students. “ Yoga is not about touching your toes, it is what you learn on the way down” Jigar Gor. What is the duration of Jal Wheel Yoga Teacher Training? Why take up Jal Wheel Yoga Teacher Training? Jal Wheel Yoga is absolutely for everyone, from regular practitioners to runners and Crossfit athletes, it is a very versatile prop, which can aids us to stretch deeper and releases tension in hard to access places. You can roll on it, lie on it, lie on it and breathe on it and it really helps to open your shoulders like no block can. Wheel Yoga helps one to build strength and stamina. There are many more reasons to add Wheel Yoga to one’s workout arsenal. With the teacher training, you will find many opportunities to incorporate Wheel Yoga into your classes in addition to teaching Wheel Yoga classes. This is a training course that will add on to your existing skill set, upgrade your teaching repertoire and allow you to reach out to more people and students. Jal Wheel Yoga Teacher Training offers creative choreography that is designed to explore both physical and mental awareness of your Yoga practice. It incorporates strengthening, stretching, and therapeutic and healing practices. With the use of Yoga Wheel, one can fully experience the benefits of lengthening, sculpting, meditating and relaxing in any poses. Furthermore, with our carefully crafted lesson outline, Jal’s Wheel Yoga will challenge your core stability and at the same time strengthening and sculpting your body. Not only for Yoga practice, you will learn how to incorporate the Wheel into your daily life, for you as well as for your loved ones. This training program incorporates creative sequences into its curriculum. The lesson outline includes class management, lesson planning, pre- and post- training evaluation and monitoring. Every student will receive personalized and individualized attention throughout the program. Whether you are a regular Wheel Yoga practitioner or a total novice, throughout the Jal Wheel Yoga Teacher Training, you will gradually dive deeply into atomizing posture, explore the body in familiar asanas and witness a total new body expressions. This allows you to gain deeper understanding of what you body can do, learn more about your unique physiology, as well as be more aware of the adjustments you can make for yourself to find more ease, health or even challenge in your practice. This teacher-training program will challenge you beyond your comfort zone and deepen your yoga knowledge and practice. You will gain more awareness of your postures and alignments, feel the interconnection between different body parts, and seize greater control of your physical and mental well-being through breathing. With all these, you will feel stronger, both physically and mentally. You will learn in-depth therapeutic training methods to improve posture, flexibility, mobility, endurance and performance to help you progressively remodel your body from inside out. You will gain new awareness of alignment, able to hold longer practice sessions as well as direct the focus on details better. With limited studios offering Wheel Yoga classes, the demand of qualified teachers will be needed. With the certification, it opens up more opportunities to teach both private and group classes in studios and fitness centers. Is Jal Wheel Yoga Teacher Training Yoga Alliance accredited? You will learn under a medically trained Yoga instructor who has taught internationally. Lorena Godoy, a Venezuelan Orthopedic and Traumatology Professional, specializes in different types of Yoga such as Bikram, Yin, Kids and also Wheel Yoga. What makes her so special - she incorporates her knowledge in the medical fields into her teaching. She focuses on creating the awareness of your body ability which can lead to seizing the complete control of your live. She has guided and helped many to go beyond what they believe they can do. Her classes are always fun, engaging and energetic. Lorena’s passion in sharing makes her a highly sought after instructor internationally and often invited to different countries to conduct workshops or teacher training programs. variety of Yoga and deepen their Yoga learning, skills, and teaching ability. definitely the great way to learn more. We hope that Jal Yoga Wheel transforms your life and you will be able to introduce to family or friends to see the benefits of this great tool. When is the Jal Wheel Yoga Teacher Training intake? How much does Jal Wheel Yoga Teacher Training cost? Congratulations on taking your first step into a much larger world!